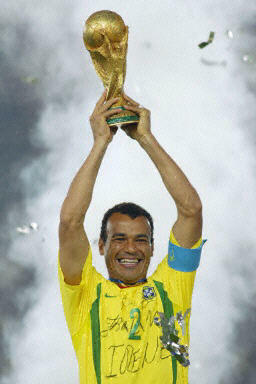 Brazil's team captain and defender Cafu hoists the World Cup trophy after Brazil won 2-0 against Germany in match 64 of the 2002 FIFA World Cup Korea Japan final 30 June, 2002 at the International Stadium Yokohama, Japan. Brazil has now won a record five World Cup titles.Brazil previously was a FIFA World Cup winner in 1958, 1962, 1970 and 1994. Suprise packets, Turkey, finished a great World Cup tournament with a well deserved third place. Turkey were the closest team to beating champions Brazil, which they had to face twice throughout the tournament. In what was called the 'true final', Brazil qualified through to the semi finals with a 2-1 win over England. England took the lead early with a goal from Michael Owen, but Brazil then proved too good and hit back with two outstanding goals. With this win Brazil are the outright favourites to go on and win the World Cup, while England were so close to being in their position. Korea rattled the tournament by knocking out cup contenders Portugal, Italy and now Spain. The game ended with a dramatic penalty shootout. Like the Italian game, the match stirred up many controversial decions by the officials. The Korean fans have been outstanding and deserve every bot of their teams performance. Ireland were knocked out of the second round of the World Cup in a nail biting penalty shootout with Spain. Holland, Kilbane and Connolly missed their penalties for Ireland which sent the Irish crashing out of the tournament. Earlier in the game, Morientes scored in the 7th minute off a header and then Ian Harte missed a crucial penalty in the second half. But Ireland were given a lifeline when the referee awarded Ireland a penalty in the 90th minute. To Ian Harte's relief, Robbie Keane calmly converted from the spot to take the game into goden goal. Spain now face the winner of Italy and Korea in the Quarter Finals. Korea and Japan have given their fans something to cheer about in their country's opening games of the tournament. Both teams have recorded their first ever World Cup wins and have both qualified through to the second round of the tournament. After 4 years of waiting, David Beckham repayed the Argentines by sinking a penalty past them to give England a much needed three points in the group of death. England only need a draw against Nigeria to progress, while Argentina must beat Sweden. Brazil showed some of its old form by beating Turkey 2-1 in the group opener. Turkey opened the scoring seconds before the break, but Ronaldo equalised not long after. 2 red cards followed for Turkey and then a controversial penalty which appeared to be outside the box. Rivaldo clamly converted thepenalty to give Brazil all three points. World Cup champions, France, were defeated on the opening night of the tournament by World Cup debutants Senegal. France were unlucky to equalise hitting the woodwork twice. In other games Cameroon were held to a 1-1 draw courtesy of a Matt Holland egualiser for Ireland. South Africa made an exciting comeback with Quinton Fortune scoring an important penalty to manage a draw with Paraguay. 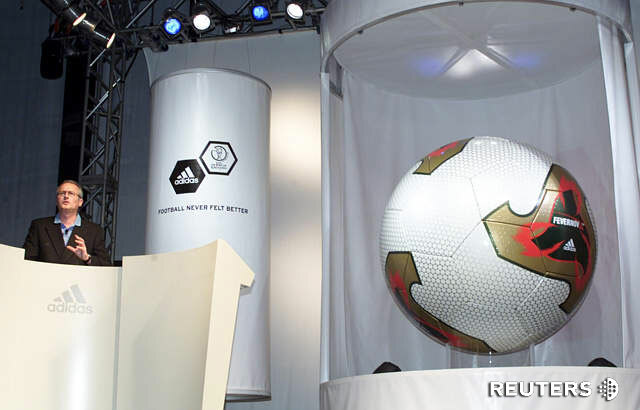 The World Cup tables and fixtures were drawn on December1. Group F is said to be the Group of Death with England, Argentina, Nigeria and Sweden. 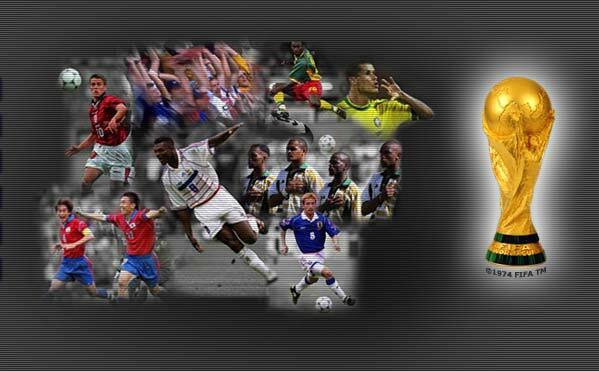 98' Finalists France and Brazil have been handed easier groups while hosts Japan and Korea have good chances of progressing past their chosen groups. 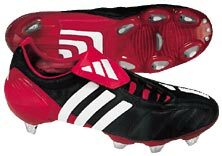 Who scored the most goal's to take out the Golden Boot award in the France 98' World Cup? Sorry -- you need Java for this ticker to work. RONALDO totalled his 2002 World Cup goal scoring tally to 8 after his two goals in the final that gave Brazil the victory over Germany. Ronaldo redeemed himself after a disappointing World Cup in 98' and a lack of form for club over the past 4 years. Rivaldo and Klose were runners up for the award both scoring 5 goals. Rio Ferdinand, Michael Owen and Emile Heskey all scored for England in a game which showed the World that England are serious contenders for the World crown. England face the winner of Brazil and Belgium in the Quarter Finals. 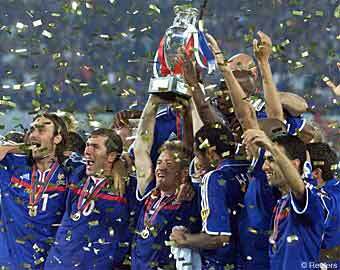 France 98' bronze medalists Croatia, were lucky to take away three points from Italy in a night surrounded by controversy. Italy took the lead early in the 2nd half with Christian Vieri scoring from close range. But Croatia came fighting back with 2 goals to take the lead. Italy then had 2 goals dissallowed, followed by a freekick by Totti that hit the upright. Croatia take the win with one game left to play against Ecuador, while Italy face Mexico. Argentina started their World Cup campaign with a 1-0 win over Nigeria. The only goal came from Gabrial Batistuta, which was a far post header off a Juan Veron corner. In Saitama, Sweden held England to a 1-1 draw in a match opens up the group for all to take. England haven't beaten Sweden in 34 years and the run continued after this firey clash. Sol Campbell opened the scoring off a header from a corner after 26 mins, then Niclas Alexanderson equalised with a cracking strike from 20 yards out to share the points. Irish captain, Roy Keane, was sent home from the World Cup by coach Mick McCarthy, 7 days before the first day of the World Cup tournament, after complaining about facilities and coaching staff in the Irish camp. WHO'S SIDE ARE YOU ON ??? ?